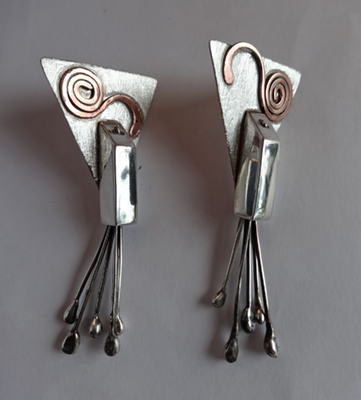 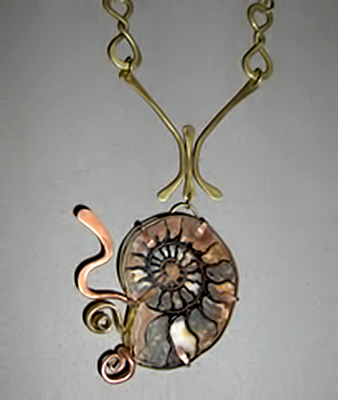 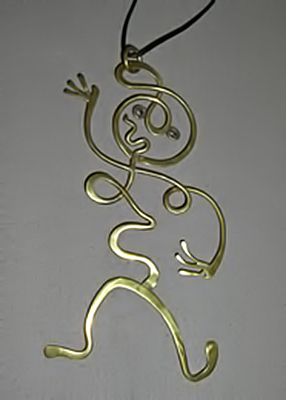 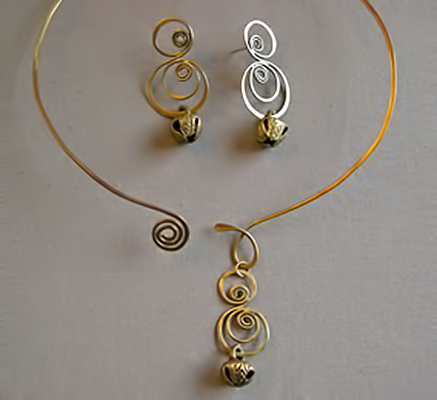 This is everything handcrafted from twisted, bent, curled, rolled, and forged wire. 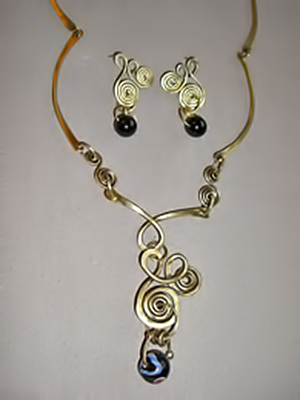 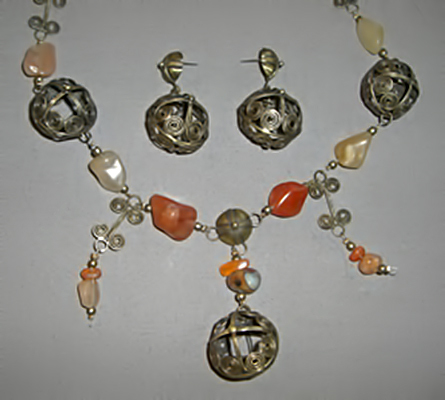 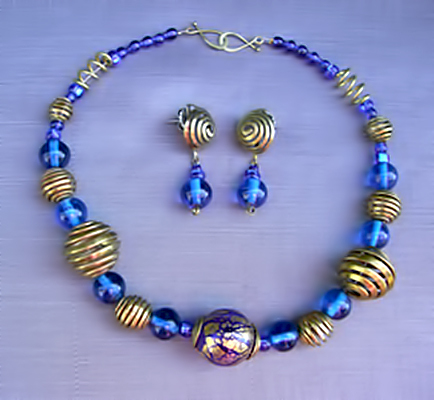 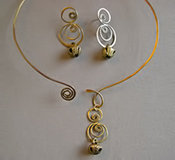 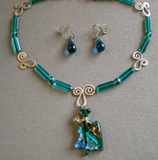 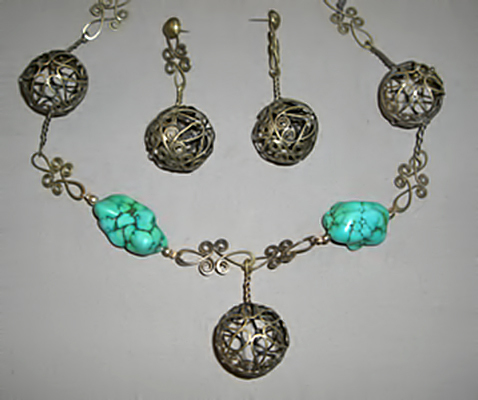 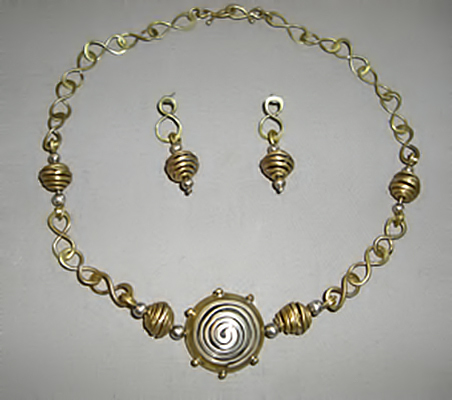 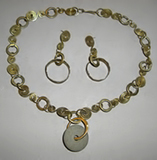 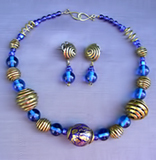 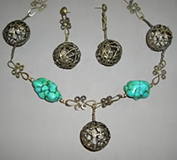 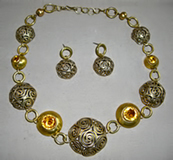 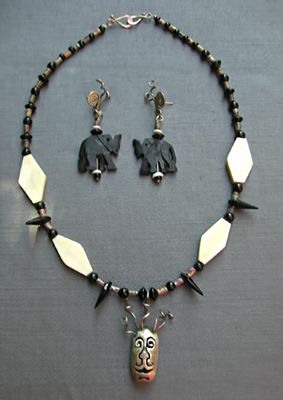 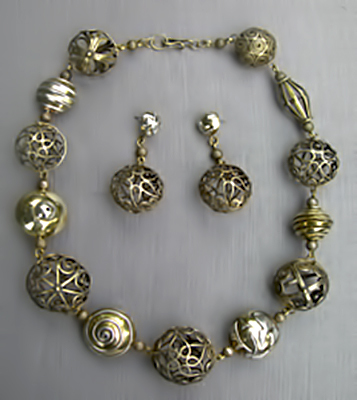 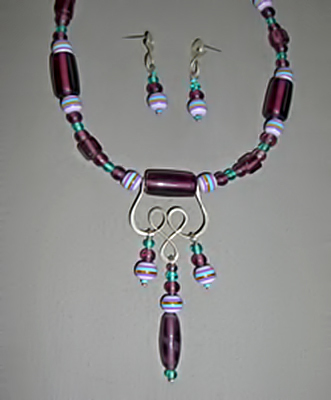 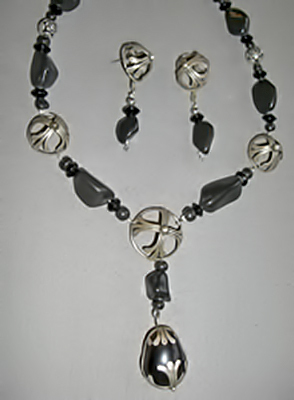 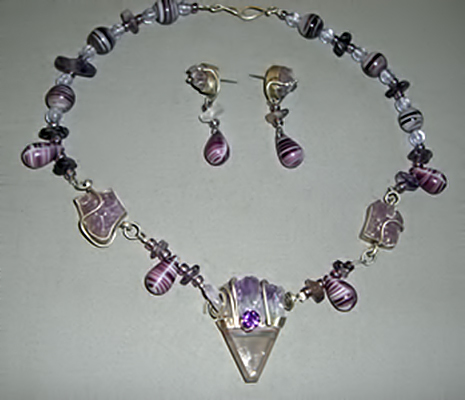 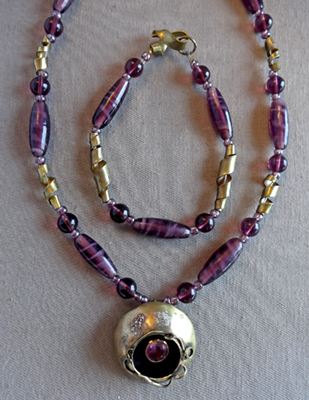 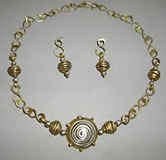 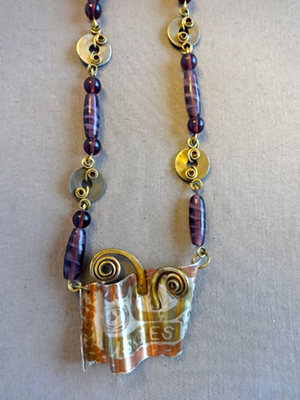 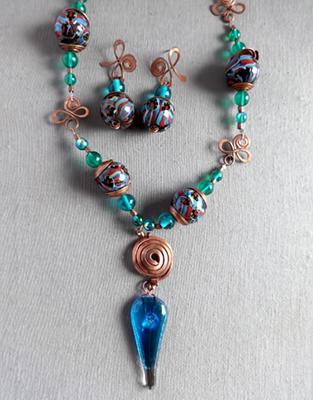 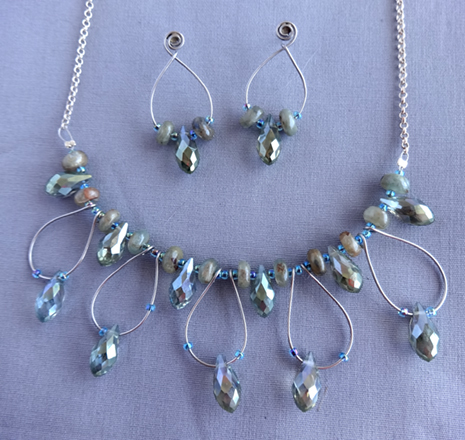 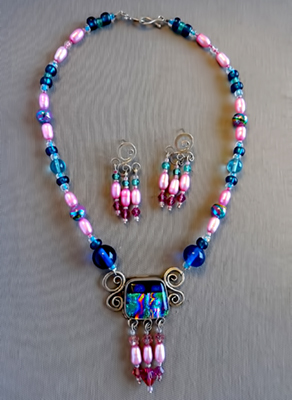 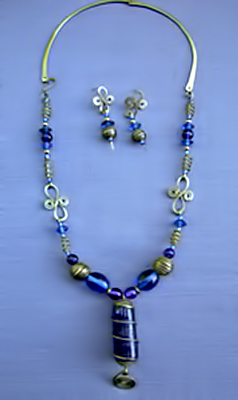 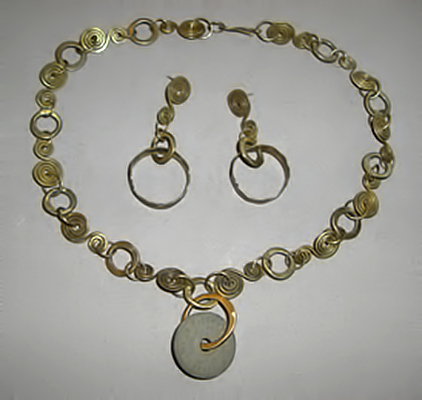 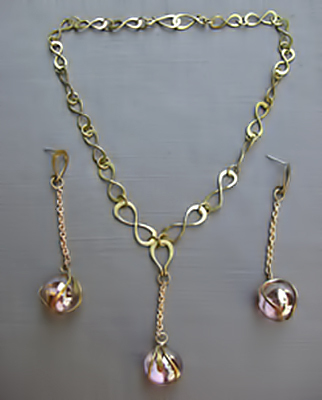 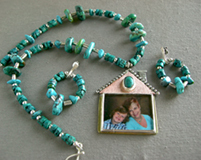 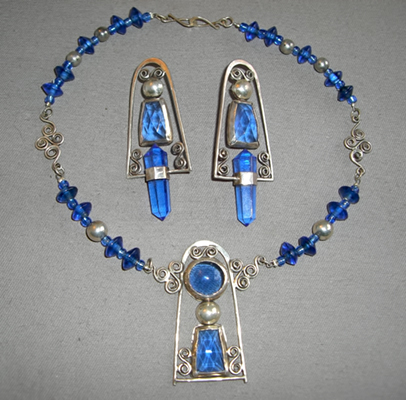 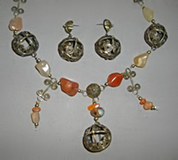 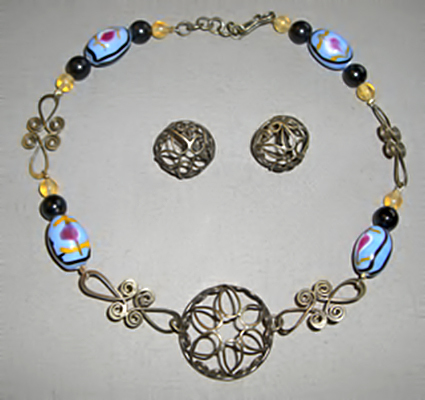 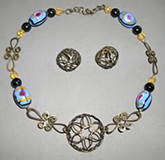 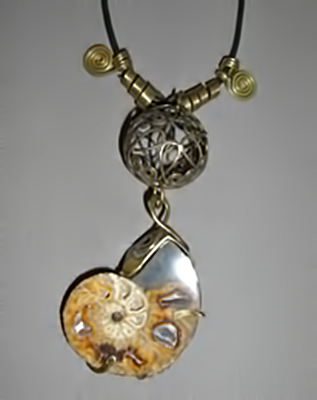 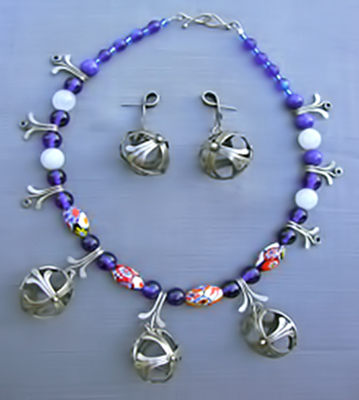 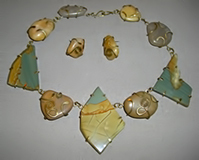 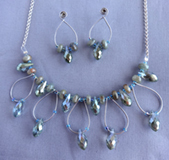 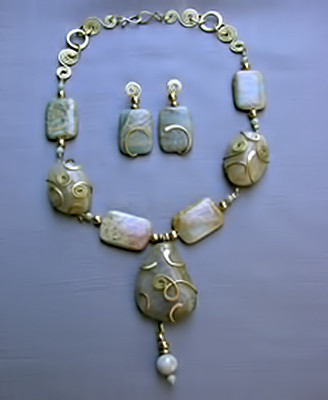 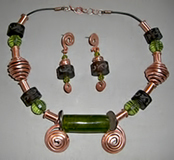 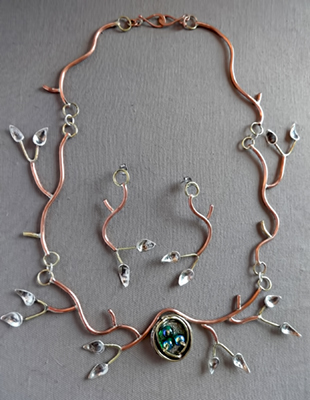 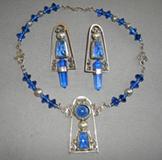 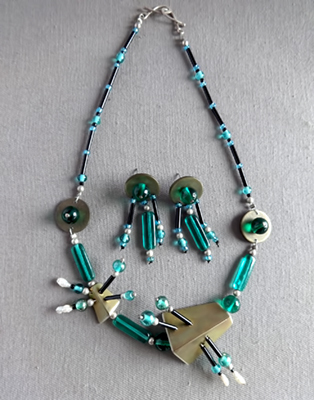 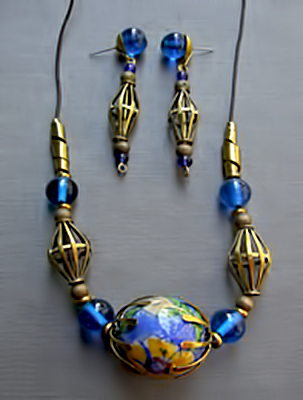 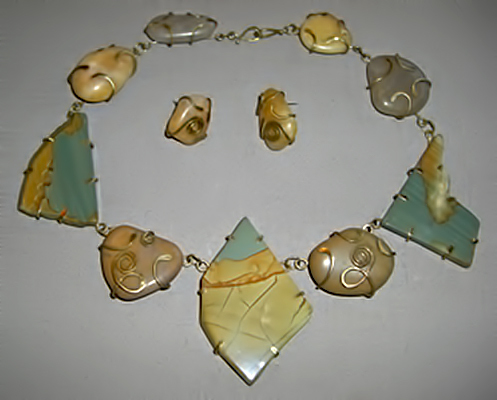 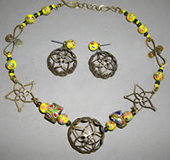 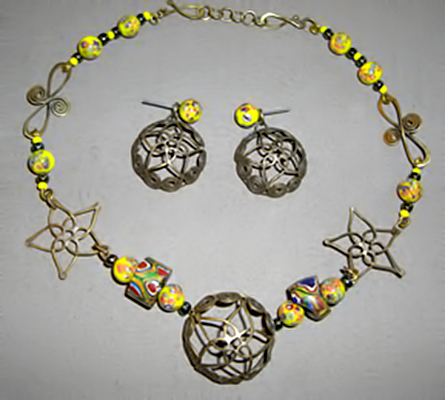 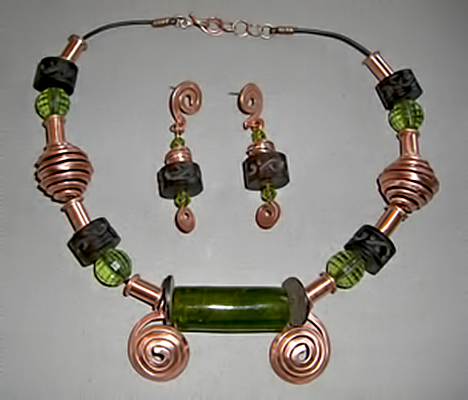 Some necklace sets have handmade wire beads. 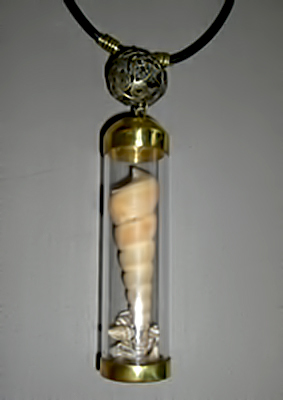 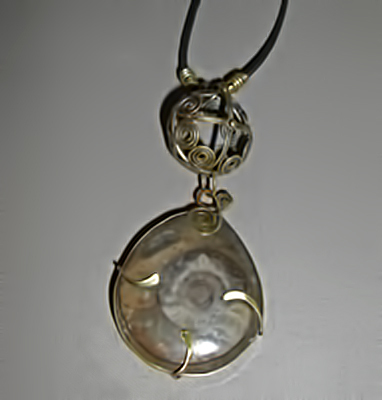 There are fossils, stones and glass beads, Im. 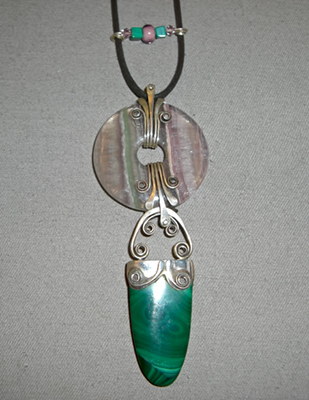 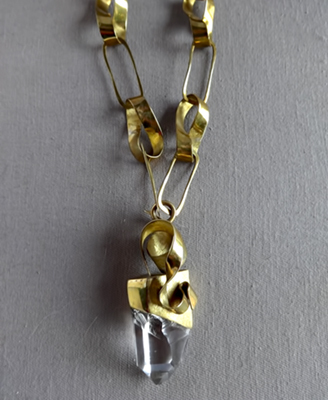 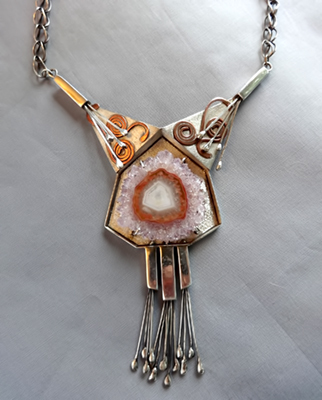 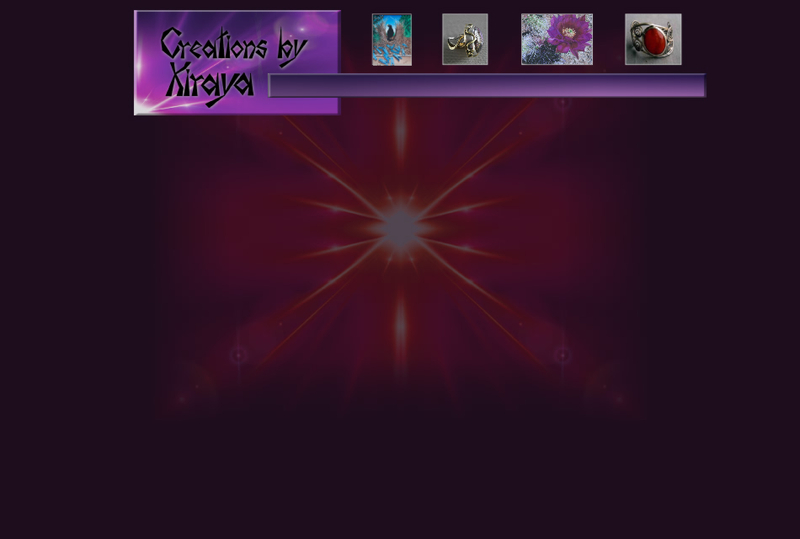 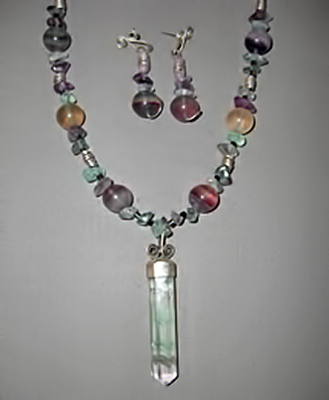 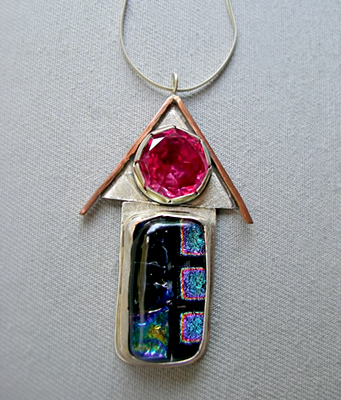 Faceted stones, marbles, and crystals used. 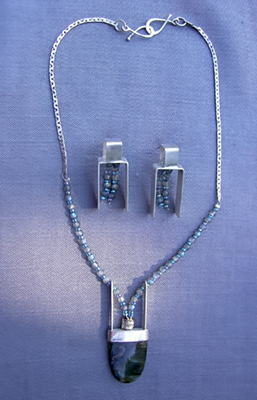 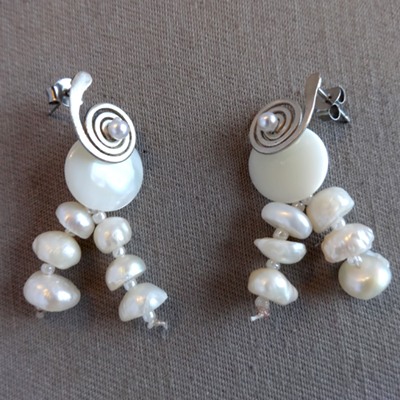 Necklace can be bought without the earrings if desired.